"Know your rights to no abuse under Title IX. Schools must maintain an environment conducive to learning; free from harassment and discrimination. ... This is your right," SESAME president Terri Miller said. 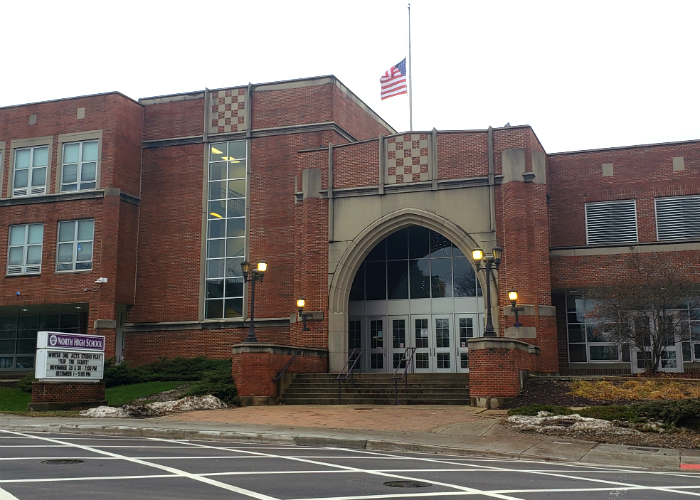 A group of DGN alumni is currently advocating for new policies at school District 99 in response to sexual misconduct allegations. The group outlines its goals and proposals in an online petition. “District 99 needs to do more to protect the students in its care. Teacher training is insufficient, clear teacher/student boundaries have not been put into place (making it easier for abusers to groom), students are kept in the dark about their rights and ability to report on teacher-abusers, written guidelines and a code of conduct are weak and hard to find … the list goes on,” the online petition said. The leader of the alumni group, Jennifer Boudinot, declined to comment as did group member Nate Pence. In an email, the Director of Communications for District 99 Jill Browning stated what the district is currently doing in regards to prevention of sexual misconduct. “We began the school year with sexual harassment and mandated reporting training for all staff. We reinforced the training with online training modules that are part of the Global Compliance Network (GCN). Our staff members spend time and [pay] serious attention to these trainings. We believe we are following the best practices and are continually seeking ways to improve,” Browning said. Maria Vangel, parent of a DGN student, expressed her views on teacher trainings. “I would think [teachers] would be aware … I think that teachers know what’s right or wrong … there’s no gray area. It’s black or white, [teachers] know what’s right and wrong, so I don’t think there needs to be training on it,” Vangel said. The petition also requests that the district hires the nonprofit organization Stop Educator Sexual Abuse Misconduct & Exploitation (SESAME) to train staff members. In a correspondence with Terri Miller, the president of SESAME, she explains the benefits of having more extensive training. “As you probably have already ascertained, everyone from faculty to students to parents and community [is] deeply affected. There is really only one way to minimize the trauma and distrust that comes with these types of revelations, and that is to talk about it and train so that every stakeholder in the school system understands how to better navigate and respond to incidents of sexual misconduct,” Miller said. According to Browning, the district believes it has made positive efforts in light of the concerns expressed by community members. Miller emphasized the need for students to be provided with comprehensive education on the laws in place to protect them. “Know your rights to no abuse under Title IX. Schools must maintain an environment conducive to learning; free from harassment and discrimination. Every student, parent and school staff should receive training annually to recognize verbal and physical boundary violations that constitute harassment which includes sexual harassment/misconduct. Everyone should know how to file a complaint and who the Title IX officers is; the person responsible for taking complaints and providing services to victims. This is your right,” Miller said. Want to read Chicago Tribune coverage of this story? Want to read the alumni group’s Twitter?